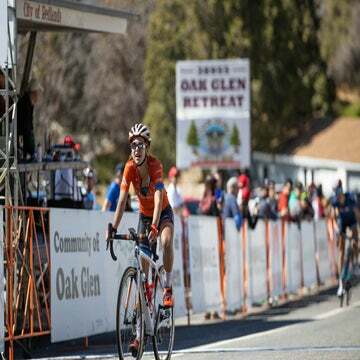 American team Rally-UHC continues its evolution toward WorldTour racing in Europe, cultivating young talent Brandon McNulty. Watch out, Europe, here comes Rally-UHC. The American Professional Continental squad will race its most ambitious European campaign yet in 2019, with multiple WorldTour events and a smattering of lower-tier stage races and single-day events on its horizon. Rally plans to prioritize its European racing over a number of smaller races on the North American calendar. “The opportunities are being extended to us and I think we’re ready for them. It’s the next step of everything,” team owner Charles Aaron told VeloNews at Rally’s January training camp in California. Rally’s European WorldTour calendar will include Tour de Suisse and La Flèche Wallonne this spring. The full schedule in Europe means Rally will skip the Joe Martin Stage Race and the Redlands Bicycle Classic. The team’s participation in the Tour of the Gila — a race it won in 2017 and 2018 — will be determined Rally’s European schedule in the coming months. The news comes one year after Rally made its first foray into European racing after it upgraded to the Pro Continental level for 2018. And the greater emphasis on European races has brought a variety of challenges. To overcome these hurdles, the team recently hired former Sojasun manager Stéphane Heulot as the team’s European manager; Heulot helped Rally establish a service course in Girona, Spain. Bikes and equipment will be ready for the team’s first European races, the Challenge Mallorca Series, which begins on January 31. The team will also ride the Volta a la Comunitat Valenciana and Ruta del Sol races in Spain, as well as the Tour of Oman, this spring. The step up brings sporting challenges as well. It can be difficult for North American teams and riders to adjust to the racing speeds and pack dynamics within the European peloton. Last year Rally made its first foray into European racing at early-season events in Spain. The team struggled at first; Ryan Anderson’s 33rd place at Ruta de Sol was Rally’s top finish at the Spanish stage race. Carney believes his team will score better results this year. He pointed to the team’s steady progression in North America as proof that its riders and staff can learn how to compete on the international stage. Rally has another goal with its aggressive racing style. Race organizers must be convinced to invite Pro Continental teams like Rally to their events. Often, aggressive teams that animate the race gain race entries due to their entertaining racing style. Winning stages and putting up memorable performances abroad — such as Brandon McNulty’s near-stage win at the Dubai Tour last season — are important to the team’s plan to continue building a European calendar. Last season Rally competed in five events run by French organizer ASO, and the team hopes to continue growing that number. Between the Tour of Oman and La Flèche Wallonne, the team has already secured two ASO invites for this year. 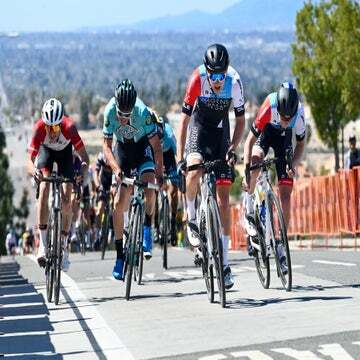 Rally will again plan to race stateside in the Amgen Tour of California — the team’s marquee North American event — before competing in the Larry H. Miller Tour of Utah and, pending invites, the WorldTour one-day races in Quebec. The team’s roster is composed entirely of North American riders. Management says the squad hopes to maintain a North American-centric roster in the coming years. Carney believes multiple riders on the 2019 roster can compete at the WorldTour level. Atop that list is McNulty, who won the UCI world junior time trial championships in 2016. 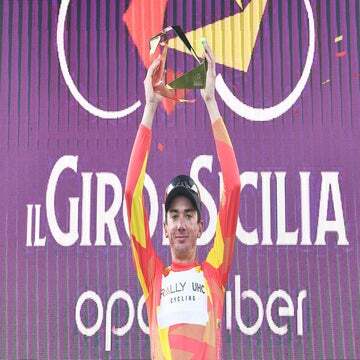 McNulty renewed his contract with Rally for a third year over the offseason, despite interest from WorldTour teams. McNulty said the team’s steady growth convinced him to stay. “If you look at the races we’re getting invited to versus what a neo-pro would race in the WorldTour, it’s pretty similar I think,” McNulty said. “But I’m probably getting a lot more opportunities to get results versus fetching bottles all day. Which is part of it, we’ll all do that someday, but there’s a lot less pressure here I’d say. McNulty said that racing at the WorldTour level is still his dream, even if he bypassed it one more year to race with Rally. “If you take a step back and think long term, I think taking a slower, more of a developmental approach to it is going to pay off in the next 10 years or so, hopefully,” he said. To shepherd its younger riders, Rally hired WorldTour veteran Svein Tuft for 2019. Rally management expects the team’s mix of young talent and experienced veterans helps the team thrive at the bigger races. Management said the team’s step up in 2019 represents another move toward cycling’s top leagues. Aaron declined to give a specific timeline for an eventual push to join the WorldTour. He and Carney said they hope a European base and another year of experience will help the riders gain more confidence and results in the more competitive racing environment, key building blocks toward a WorldTour future.